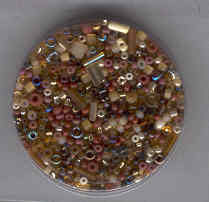 Seed beads + small variety = Bead Gravy with Lumps. 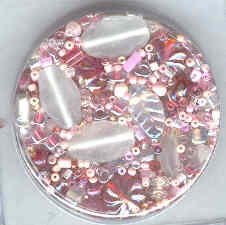 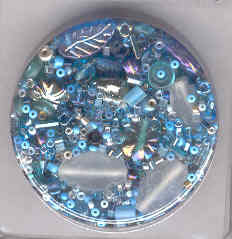 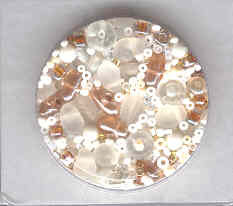 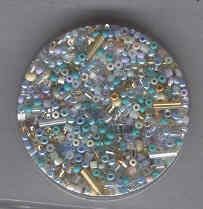 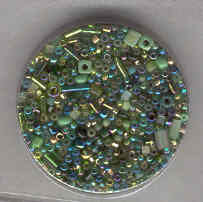 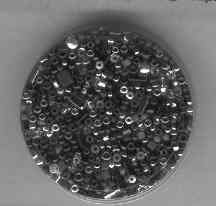 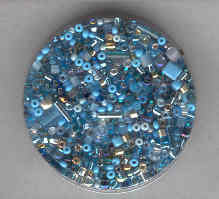 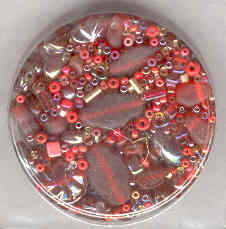 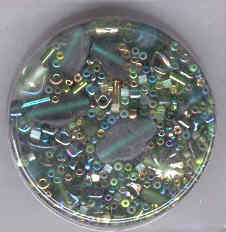 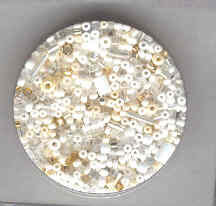 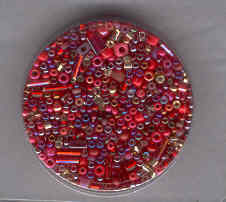 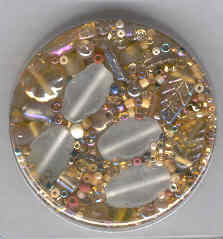 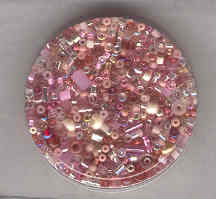 Glass bead mixes for strung jewellery or embellishment in needlework and quilting. 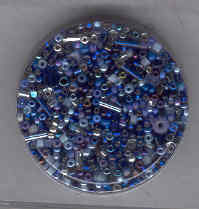 The diameter of the bead packets is about 2 inches across. 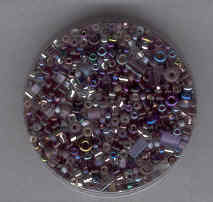 All small beads no big lumps.